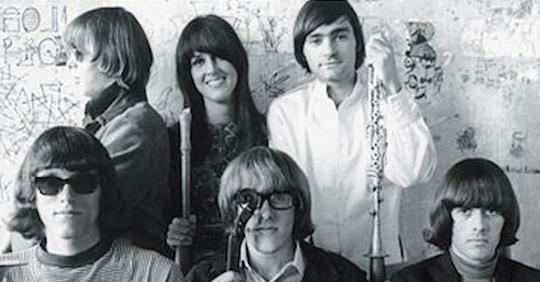 That Devil Music: Jefferson Airplane’s Marty Balin, R.I.P. Rolling Stone magazine and other music media are reporting on the death of Jefferson Airplane and Jefferson Starship vocalist Marty Balin. A Rock & Roll Hall of Fame inductee, Balin passed away of unknown causes on Thursday, September 27th, 2018 at the age of 76 years. Jefferson Airplane’s founding member and initially the band’s lead vocalist and songwriter, Balin “launched” the Airplane in 1965 from The Matrix club in San Francisco, a former pizza parlor that he partially-owned and managed. The Airplane would become the club’s house band, their electrifying live performances bringing them to the attention of legendary local music critic and columnist Ralph J. Gleason, an early advocate for the group. The Airplane would soon become known as the avatars of the “San Francisco sound,” with songs featuring vocals from three singers – Balin, Grace Slick, and guitarist Paul Kantner – as well as a solid rhythm section in bassist Jack Casady and drummer Spencer Dryden (who replaced original band drummer Skip Spence, who would later form Moby Grape). Talented lead guitarist Jorma Kaukonen would round out the band’s pioneering psychedelic rock sound. This is the band line-up that would headline several major U.S. rock festivals of the ‘60s, including Monterey in 1967, and Woodstock and Altamont in 1969 as well as the first Isle of Wight Festival in 1968 in the U.K. The band released five studio albums with Balin on the microphone, including bona fide classics like 1967’s Surrealistic Pillow and 1969’s Volunteers, and several Balin-penned songs like “Plastic Fantastic Lover,” “It’s No Secret,” and “Volunteers” would become staples of the band’s live set. By 1970, however, Kantner and Slick had become the dominant creative voices in the band, and Balin left to pursue other opportunities, managing and producing an album for the Bay area band Grootna before joining the hard rock band Bodacious DF as their lead vocalist. The Airplane released two albums without Balin before breaking up, splintering into two separate outfits – Jefferson Starship with Kantner and Slick and Hot Tuna with Kaukonen and Casady. Asked by Kantner to write a song for the re-christened Jefferson Starship, Balin appeared as a guest vocalist on the band’s 1974 debut Dragon Fly. He would subsequently become a full-time member of the commercially-successful and more pop-oriented Starship, once again singing alongside Slick and Kantner on four studio albums including 1975’s double-Platinum™ Red Octopus, which yielded a monster hit with Balin’s song “Miracles,” and 1976’s Platinum™-selling Spitfire. Tensions among band members grew along with the band’s success, however, and Balin quit Starship after the release of their 1978 album Earth, following Grace Slick out the door. Balin launched his career as a solo artist with the release of the 1981 album Balin, enjoying a Top Ten hit with the single “Hearts.” Balin reunited with Kantner and Casady to form the KBC Band, which released a single album in 1985. Jefferson Airplane reunited in 1989 for an album and tour, and Balin also toured with a reunited Starship in the 1990s and early ‘00s. The singer would also release a dozen solo records through the years, his last being 2016’s The Greatest Love. An accomplished and acclaimed painter, Balin painted portraits of many of his contemporary musicians and his permanent signature collection gallery is located in Saint Augustine, Florida. An underrated rock ‘n’ roll vocalist in spite of his many accolades and honors, Marty Balin was far too often overshadowed by the larger-than-life personalities of bandmates Grace Slick and Paul Kantner. His incredibly warm voice and songwriting chops lent a certain gravitas that grounded the free-flying inclinations of his bandmates, however, and it’s safe to say that both Jefferson Airplane and Jefferson Starship would not have reached the heights they did without Balin. For more on the life of Marty Balin, check out writer Jeff Tamarkin’s obituary on the Best Classic Bands website; Jeff literally wrote the book on the Airplane (2003’s Got a Revolution!) and has forgotten more about the band than many of us will ever know. The Rock and Roll Globe website’s Ron Hart also penned a wonderful obit on the legendary singer.